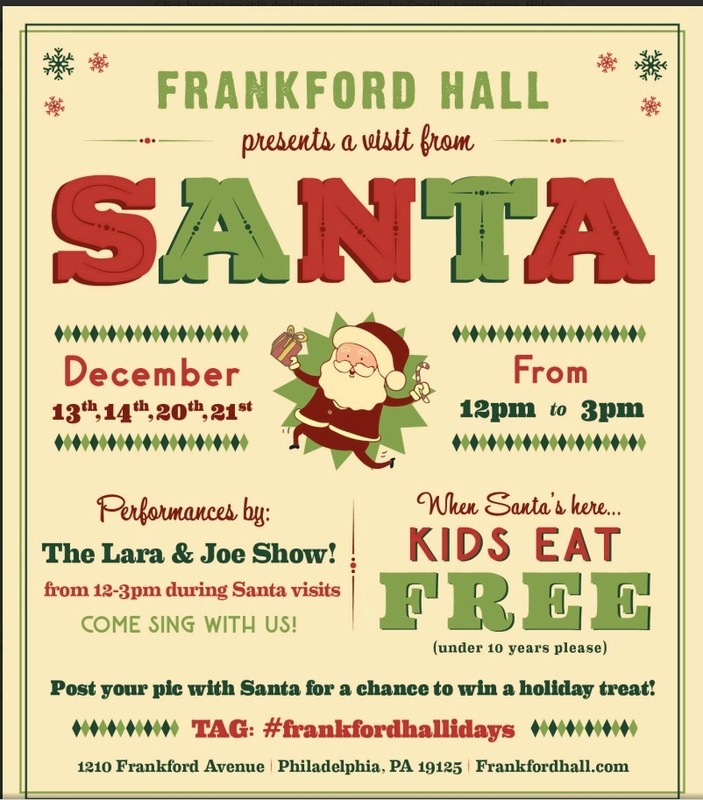 Get you list ready kids because Santa will be at Frankford Hall this weekend December 20th and 21st from 12:00-3:00PM. Kids under 10 will eat free during all Santa visits and there will also be performances from The Lara & Joe Show! Come sing a long, drink hot chocolate, and get involved in photo opps and fun! Photo’s are DIY. Post your picture with Santa to your social media using the hashtag #Frankfordhallidays and you could win a holiday treat! What: Bring your camera and family to Frankford Hall for live music and a visit from Santa! Kids under 10 eat free. Live music will be performed by The Lara & Joe Show.